In this public campground you can spend the night in an already erected teepee. 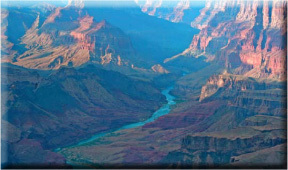 This may be an enjoyable experience for the entire family, especially the children. It’s like going back into history with the added smell of pine and sage to make it an enjoyable experience. The American Indians used teepees as year-round shelters. Perhaps these were some of the earliest tents. 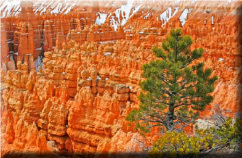 Lodge pole pines were used for poles because of their straightness and few branches. 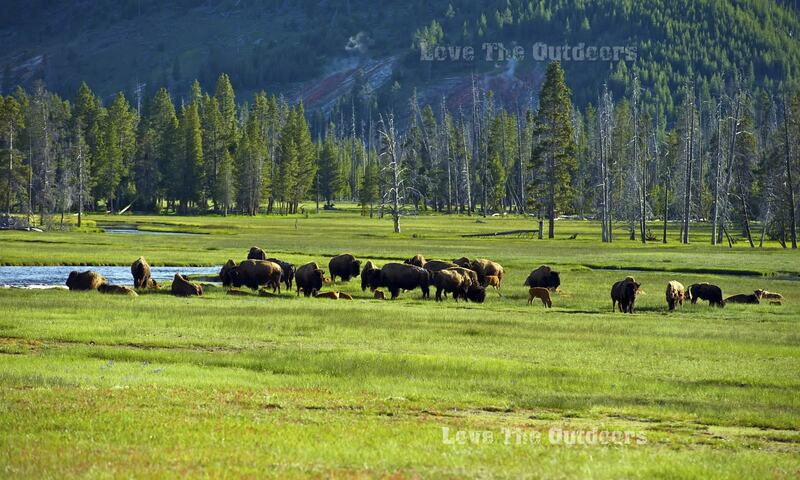 Instead of canvas, tanned buffalo hides were used. 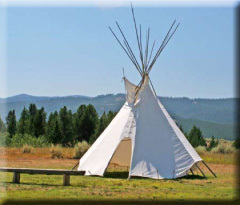 This teepee is located in a pubic campground located close to Bryce Canyon, Utah; you can rent it for the night. This campsite comes complete with the teepee, fireplace grill, picnic table and even close-by indoor plumbing with hot and cold showers. This teepee is watertight with closable doors. Its floor is soft, level and smooth. 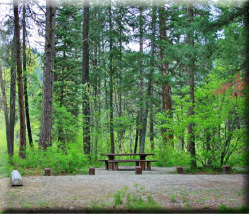 Forest Service campgrounds are popular campsites. Most campers prefer tents. 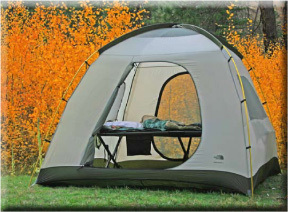 Tents come in a wide variety of styles. The back of an SUV can even provide a place of rest. 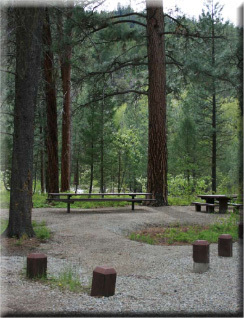 Forest Service campgrounds are generally safe places to camp. 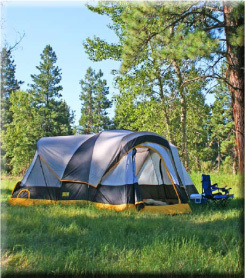 You can even leave your tent pitched while you’re away sightseeing and not worry about theft or vandalism. Most campers are honorable people. Trailers and motor homes are also popular in Forest Service camp grounds. Pickup trucks with campers can also be found. 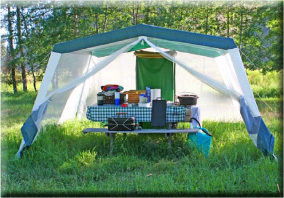 Some Forest Service campgrounds afford the convenience of electricity, culinary water, and sewer hookups. Here you can enjoy the comforts of home.